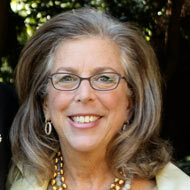 Mayerson is the author of numerous articles on disability rights as well as a three-volume treatise, The ADA: Americans with Disabilities Act Annotated-Legislative History, Regulations & Commentary (Clark Boarman Callaghan, 1994), which sets forth the legislative history and regulations for each provision of the ADA. A national expert on disability rights law is coming to a campus nationally known for being accessible to students with disabilities. She’s the next speaker in Wright State University’s Presidential Lecture Series. Arlene B. Mayerson is presenting “An Eyewitness Report: Disability Then and Now” as a part of the 2011­–12 Presidential Lecture series. Mayerson will speak on Oct. 12 at 7 p.m. in the Student Union Apollo Room. The event will be free and open to the public. Mayerson has devoted her career to disability rights practice. She supplied expert testimony before several congressional committees during debates about the Americans with Disabilities Act (ADA). She filed comments on the ADA regulations for more than 500 disability rights organizations. She has also advised on other legislation ensuring the special education rights of students with disabilities. Mayerson has provided representation, consultation to counsel and coordination of amicus briefs on pivotal disability rights cases before the U.S. Supreme Court. She was appointed by the Secretary of the U.S. Department of Education to the Civil Rights Reviewing Authority, responsible for reviewing the department’s civil rights decisions. Check out http://www.wright.edu/lecture/ to learn more about upcoming Presidential Lecture Series speakers.